SIENNA LE! AWD! CLEAN CAR FAX! ONE OWNER! GREAT MAINTENANCE HISTORY! ALLOY WHEELS! PWR DRIVER SEAT! TRI-ZONE CLIMATE CONTROL! PWR SLIDING DOORS! BACK UP CAMERA! BLUETOOTH! DID WE MENTION AWD!!! GET IN HERE AND TAKE IT HOME! 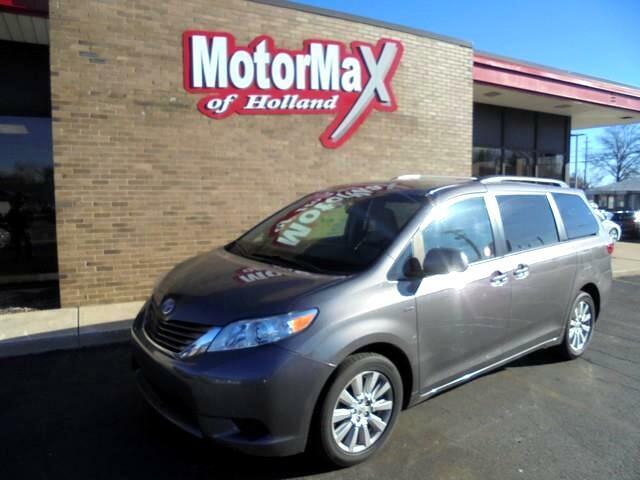 Visit MotorMax Of Holland online at motormaxofholland.com to see more pictures of this vehicle or call us at 616-294-8000 today to schedule your test drive. Message: Thought you might be interested in this 2017 Toyota Sienna.